A new sheet for the Spider-project. 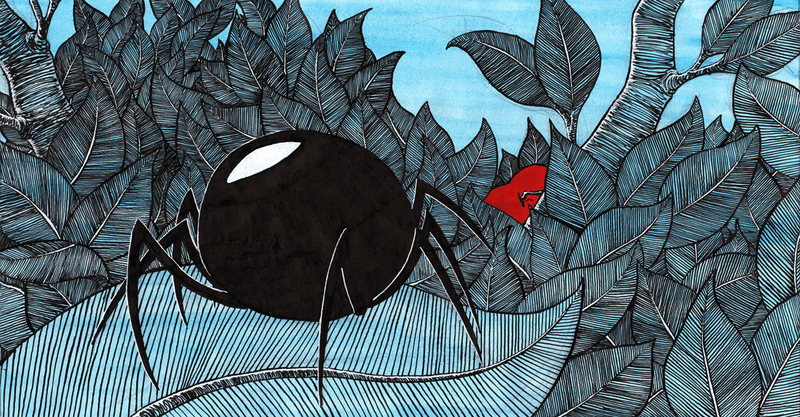 Spider starts his way down the tree, looking for his red hat. He sees something red, but is it the hat?